Urban fantasy is famous for taking real cities and recreating them as paranormal landscapes. At the New York Comic Con panel "Demonic Hotspots, Infernal Pit Stops and the Badlands," six writers explained why and how. This panel gathered urban fantasy writers Kim Harrison, Rachel Caine, Patricia Briggs, Anton Strout, Edward Lazellari and Christina Henry to discuss the geography of their fictional worlds. From the limits it creates to the weird trivia they've been able to include, they shared the ups and downs of working from reality, rather than creating a world wholecloth. First off, the most obvious question: why did they pick the cities they did? The panelists write in a diverse collection of places, most of which you could easily find on a map: Cincinnati; Tri-Cities, Washington; New York City; and Chicago. 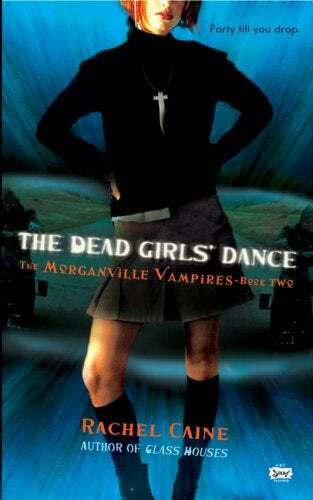 The only fictional town — Rachel Caine's Morganville, Texas — is based on several real towns around El Paso. The rationale behind each author's choice of setting was as varied as the location. You look around and you go, "Then how come I'm hearing people speaking Laotian and Russian and Chinese and Indian (as in India) and Native American Indian at the mall? I figured any town that could ignore that it's a hotbed of multiculturalism is the perfect place to ignore that they have werewolves and vampires, too. It's one of the oldest cities in the U.S. It was the fourth largest at one point. It was an old city that kept its architecture. It's got the oldest garden graveyard. They used to be known for their body snatching. Seriously! You could be in the ground for an hour and then you'd be on a train heading north to Detroit for the hospitals for study. Then you've got the tunnels. I would take the train in from the Bronx by myself. I would get off several blocks ahead of my stop and walk the rest of the way, and after class i would walk some more. I've lived in the city all my life. I just know this city backwards and forwards and I love it with all my heart. It's one of the greatest cities in the world and that's why I set it here. It does not take much of a stretch of the imagination to realize something weird is going on just out of the corner of your eye. I always liked exploring that, and most of it's very factual, based on real things — with a twist. Like, there was a mass grave at Bryant Park. Wouldn't it be horrible if you had a necromancer who happened to be near there? I'd go to Central Park and be like, "I need something to happen for the scene and suddenly, as I'm walking behind the museum, I come across a thing called Cleopatra's Needle, and it is a large Egyptian monolith, just in the center of central park. I can't help but take those things from around here and just be like, "You know what would be really cool?" Rachel Caine gets many of her good, weird details reading histories of the area. For example, she recently learned the first Texas coroner lived in the area and his name was — wait for it — Dr. Slaughter. It should make sense that a cop would live there or an artist would live there. I'm very true to New York in terms of those elements, and then I'm ripping things apart with the outside elements. If my New York was too fantasy-like from the get-go, I don't think it would work as well. Of course, then there's the problem of how, exactly, their paranormal worlds can continue to go unnoticed. Strout admitted that it's tough to keep things quiet in a major metropolitan area, so he relies on the ability of New Yorkers to ignore what they don't want to see, whether that's a panhandler or a Greenpeace campaigner or something occult. Christina Henry, whose series about fallen angels is set in Chicago, takes a similar approach: "The easiest explanation is that people see what they want to see." Jaycee Dugard was kidnapped at 11. She was living in a tent in a backyard and no one noticed for a decade. Look at the guy in Austria who had his daughter in the basement. His own wife didn't know. If real-life monsters can hide these things for decades — if you're a vampire and it's your life to make sure no one knows, you'll find a way. Briggs actually likes the limitations of her real-world setting: "One of the things I like about taking a real place and working with it is that it dictates some things. Because it does, it makes the tensions and the stories feel more real." For example, she had to figure out some reason her vampires lived in the sunny Tri-Cities. She decided they were being punished, which helped shaped their culture in a unique way. But perhaps the most underrated aspect of setting urban fantasy novels in real-life locations is the opportunity for fictional revenge. As Anton Strout admitted: "I've waited in line at Time Warner Cable places throughout Manhattan over the years.... There's a reason the Time Warner Center is filled with vampires in my books."